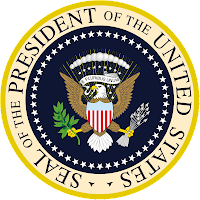 Grammdæmonium: when do you capitalize the 'p' in president? An editor writes about the important, yet obscure, language mistakes everyone makes. when do you capitalize the 'p' in president? Sometimes, though, "president" and other titles are used to describe a person. In those cases, you leave the title uncapitalized. So you would say, Del Morosa, president of Exempli Gratia Enterprises. Now I don't know if this exception applies to other countries' leaders, but if you're referring specifically to the U.S. presidency, you can pretty much capitalize "President" in any context and get away with it. Nevertheless, it's probably better to follow the rules and capitalize it only when you're referring to a specific president. Lake Superior State's "Banished Words"
And, of course, The Dreaded Apluralstrophe! My name's Nat. I'm an editor, formerly employed for a growing publishing company in Traverse City, Michigan. I now live in Chicago and do freelance. On the side, I review movies. And yes, I've seen Roger Ebert.